I came across the photo below--of a rather steamy Professor Layton--while perusing the Boy Culture blog's coverage of New York Comic Con 2012 the other day. You're far from alone if a feeling of déjà vu washes over you while taking in said photo, by the way. 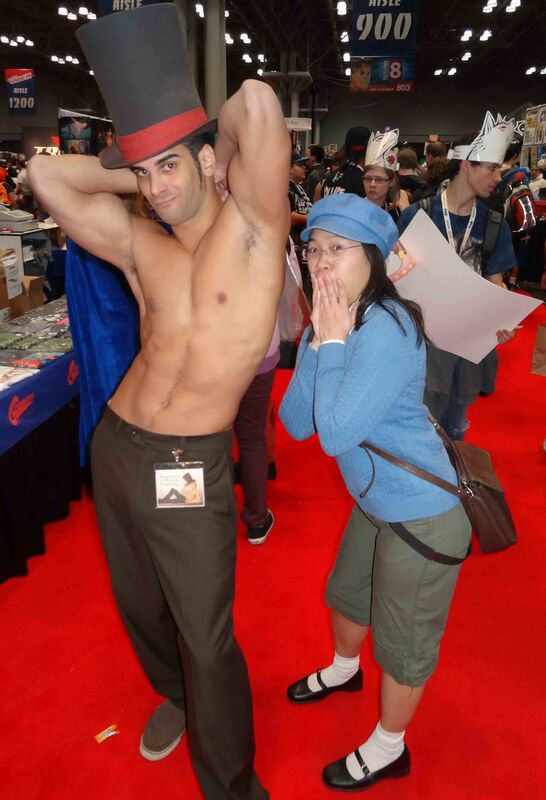 Apparently the guy posing (literally) as the esteemed Hershel Layton has appeared as a shirtless, muscled version of every gamer's favorite professor at numerous conventions and related events over the last few years. In related news, did you know that someone actually created "an aggregate tumblr for general Hawt Proffy [as in, Professor Layton] stuff"? Well, you do now--and you can find it at hotforprof.tumblr.com. I just perused the first few pages of said tumblr (for research purposes only, I assure you) and I'm sad, er, I mean happy to report that none of the drawings, illustrations and other images that I came across were of the not-safe-for-work variety. Unf. I'd be Luke to that man's Professor Layton any day of the week!